Posted May 7, 2009 in Bruno Orbit, Donald, Simon. 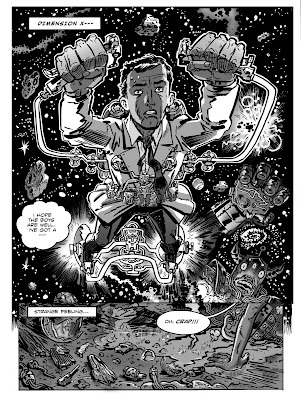 Black & white ‘Kirby Crackle’ from Bruno Orbit‘s Donald & Simon comic. More here.